Kathleen (Kathie) is the Broker/Manager of Coldwell Banker Residential Real Estate Destin/30A office located on the beautiful Emerald Coast of NW Florida. Kathie has a team of Realtors ready to handle all your real estate needs from investment to single family homes and condo's along Florida's beautiful Emerald Coast. We are located close to Eglin AFB, the largest Air Force Base in the world and Hurlburt Field, home of Special Operations. We have associates uniquely qualified to meet the needs of both active duty and retired military family's. Kathie has managed a local real estate office with 139 agents, closing over $367,000,000 in one year. Her experience in the local real estate market led to her decision to open her own business this year. 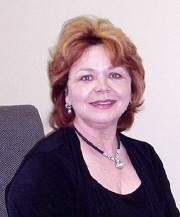 Kathie has been a broker and branch manager in the Destin real estate market over 17 years. Supporting her team of agents and staff is what she loves, you can count on her to be there! She served 12 years as an elected Okaloosa County Commissioner on a five member board. Her focus was economic development, airports and tourism.